Sporting’s squad that travels to Spain to face Cristiano Ronaldo and friends tomorrow has been announced. The Champions League allows for bigger squads than the Primeira Liga so it’s no surprise to see players like Vladimir Stojković make the cut. 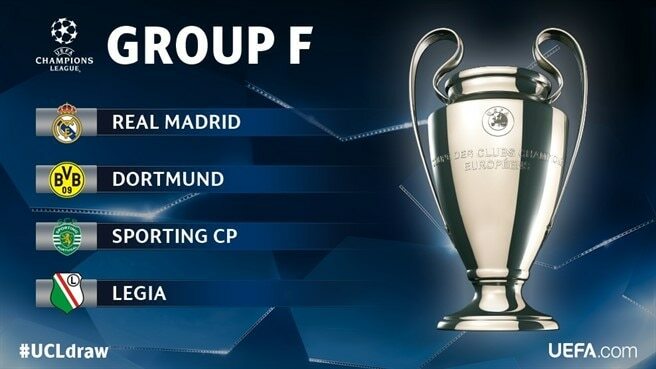 The squad for Sporting’s Champions League campaign has been announced. UEFA has yet to publish the “B” list, meaning some youth team players like Matheus Pereira and Gelson Martins don’t feature but that should follow shortly. All of the new signings feature, the only missing name from the first team squad proper is goalkeeper Ažbe Jug. Edited 13/9 to include to include the B squad. Sporting announced their squad travelling to Moscow,with Jefferson a notable absentee. The Brazilian left-back was taken off injured against Paços de Ferreira on Saturday and is not fit enough to travel. Islam Slimani’s late winner gives Sporting a 2-1 lead into Wednesday’s game. 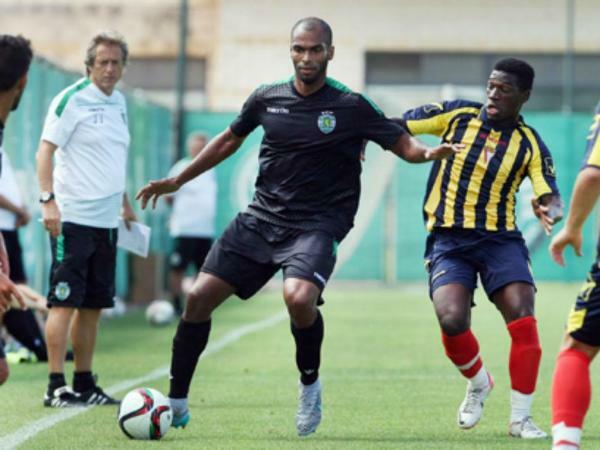 Sporting kicked off the new season with a training ground friendly against CD Mafra with a 3-1 win. Jefferson, Islam Slimani and Junya Tanaka got the goals for Sporting with the notable inclusion of Gelson Martins in the starting eleven. 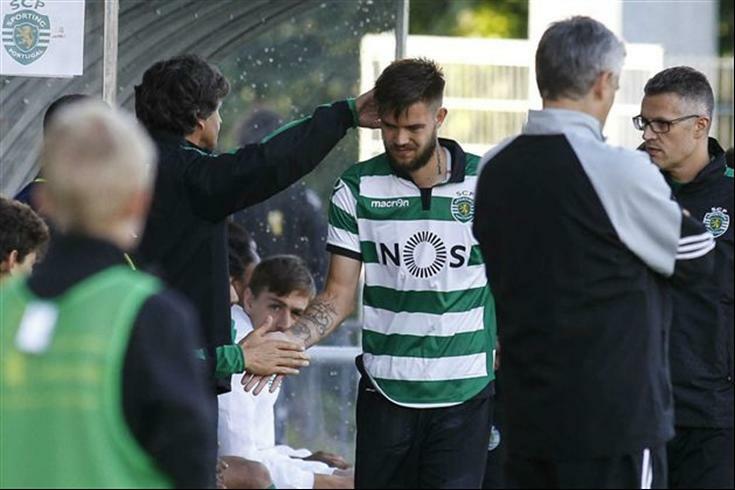 João Pereira made his return to Sporting as a second-half substitute. Next came an even more comfortable win, again behind closed doors, against Atlético Clube de Portugal. Fredy Montero, Carlos Mané, Gelson Martins and a rare brace from Naby Sarr giving Sporting the win. Again Jesus elected to choose 2 different teams in an effort to judge as many players in action as possible. New signing Naldo made his first appearance in the second half. Sporting then flew down to South Africa to participate in the Cape Town Cup hosted by Ajax Cape Town. Sporting drew the hosts in the first game with the winner facing off against either Crystal Palace or Supersport United. Ajax Cape Town proved to be tricker than expected for Sporting. After Carlos Mané’s opening goal, the South African side pulled one back after Naldo handballed in the area, and Cecil Lolo dispatched the penalty. The hosts then took the lead in the 80th minute through Franklin Cale. Just 4 minutes later however, Rúben Semedo towered to head in from a corner to bring the game straight to penalties after the 90 minutes. Next for Sporting came a sterner test against Crystal Palace. It was an end to end match with Rui Patrício pulling out some fantastic saves throughout the match to deny the London team. Substitute Fredy Montero’s second-half brace gave Sporting the win and their first trophy under Jorge Jesus, albeit the Cape Town Cup. 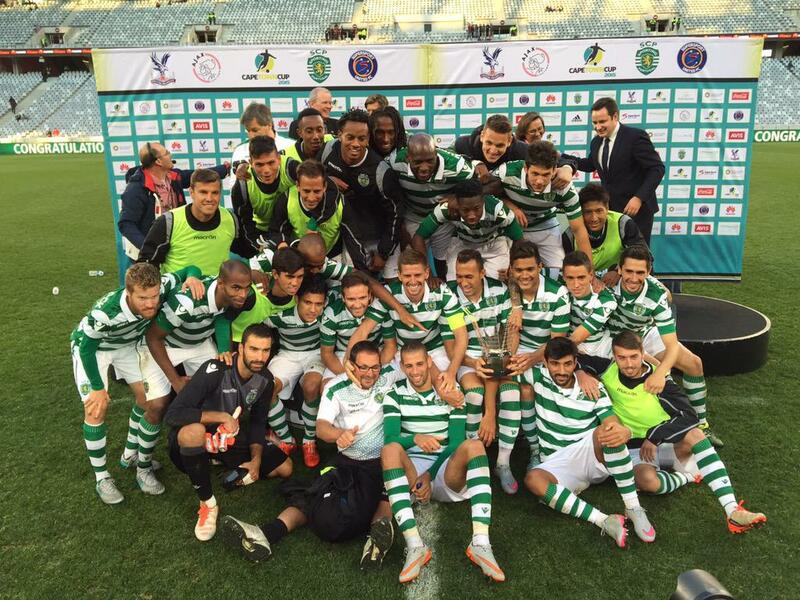 The final pre-season game was back at the Alvalade with the annual Troféu Cinco Violinos. 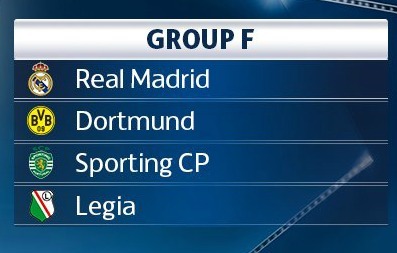 This time, AS Roma, 2nd in Serie A last year were to be the opponents. It was 2 quick-fire goals in the second half that gave Sporting the win. Islam Slimani headed in Jefferson’s corner for the first and Carlos Mané poached for the second. This was by far the most polished pre-season performance from Sporting and it was where Jorge Jesus’ new tactics really felt like they were working. Roma were limited to very few chances with Sporting dominating the ball for the majority of the game. The win will give Sporting huge confidence going into next week’s 2015 Supertaça Cândido de Oliveira against Benfica. It was a disappointing weekend for Sporting as both sides could only manage a draw. Sporting came back from behind to draw at home to Belenenses but couldn’t find a winner and ended up with just 10-men. Marco Silva was still without Cédric Soares so Ricardo Esgaio was once again starting at right-back. Otherwise it was what is becoming the usual starting eleven for Marco Silva. A sign of how Belenenses approached the game was seen early on when English goalkeeper Matt Jones was booked for time wasting with just 23 minutes gone in the game. Yet it was the Belém side who took the lead when Brazilian forward Deyverson headed past Rui Patrício’s reach with just under a half hour gone in the game. The away side’s lead only lasted 7 minutes when slack square pass from Belenenses found André Carrillo in acres of space past the last defenders. The Peruvian cooly slotted home to even the scores. Sporting found it difficult from then on to find any real chances in the game although Nani looked lively through out. The quest to grab a winner late on in the game was hampered when Jefferson was given a second yellow card from referee Cosme Machado in stoppage time for speaking out of line. It was a disappointing result and yet another draw for Marco Silva who will hope to get back to winning as the Champions League kicks off this week. There were parallels for the Francisco Barão’s B side as they could only get a goalless draw at home to Portimonense and also ended the game with 10 men. Barão elected to bring new signing Hadi Sacko straight into the staring eleven with Jonathan Silva also starting at left back. It was an even game with neither side really having great chances until the 68th minute when Fabrice Fokobo was given a second yellow card by referee João Pinto. From that point on it was the visitors pressing hard to find as goal but thanks to Luís Ribeiro Sporting managed to survive and hang on to a point. Here we go with another look at the transfer news and/or lies from the media recently. Record believes Sporting are looking Vitória de Setúbal forward Pedro Tiba to reinforce the team next season. The papers states Sporting’s good relations with Setúbal could ease the transfer. In fairly unsurprising news it looks like Sporting won’t be retaining Gérson Magrão’s services after this season. The Brazilian has failed to impress when he has featured for Sporting so far this season. Record also say that Vítor Silva could also leave at the end of the season. Sporting are looking to secure a further 20% of the economic rights for left-back Jefferson with the club currently owning 60% of the former Estoril player – this could cost Sporting €300,000. Time is running out for Elias to secure a return to Brazil with the transfer window for clubs in Brazil shutting on the 31st March. Corinthians are the most recent club said to be interested in making a new offer. As always, William Carvalho is being linked with other clubs, AS Monaco the most recent to be linked with the player. And to save the most bizarre news to last – Leonardo Jardim is currently at 8/1 to become the next Nottingham Forest manager according to Sky Bet. Having said that, Sky Bet always publish ridiculous things like that to get people to give up more money. Sporting won a hard fought battle against Marítimo at the Estádio dos Barreiros. Adrien Silva opened the scoring with a penalty before Marítimo equalised through Theo Weeks. Goals from William Carvalho and Jefferson completed the win for Sporting. Madeira-native Leonardo Jardim was without the injured André Martins. Jardim elected to start Carlos Mané in a deeper role instead and started Héldon Ramos in attack to face his former club. Maurício also reclaimed his position in defence ahead of Eric Dier, despite Dier’s excellent performance against Porto last week. Sporting took the lead just 3 minutes in when Carlos Mané was brought down in the box. Adrien Silva stepped up and duly sent Romain Salin the wrong way to score his 7th goal of the season. Marítimo equalised only 3 minutes later through a fine goal by Theo Weeks after good link up play with Nuno Rocha. The visitors regained the lead 7 minutes before the break. A Sporting corner found the ball drop to William Carvalho, the midfielder’s shot sneaked it’s way through. After the break it was Marítimo who had the most of the ball but couldn’t break through the Sporting defence. Indeed, it was Islam Slimani who had the best chance of the game in the second half when he was put through by Héldon. The in-form Algerian’s shot went under the goalkeeper but Salin’s touched managed to send the ball wide. Sporting managed to assure the points when Jefferson broke through down the left hand side and cooly slotted home to get his second goal at the club. There was controversy minutes late when Islam Slimani had the ball in the net but the goal was ruled for offside. Replays showed that goal should have stood the increase the tally of disallowed goals for Sporting this season. This was an important win for Sporting in one to keep ahead of Porto and keep the pressure on Benfica. In the quest to ensure automatic qualification to the Champions League this was perhaps one of the more difficult games left to play.